While you may have never heard the term, you have almost certainly used “EdTech.” Short for Educational Technology, according to the Association for Educational Communications and Technology, EdTech is “the study and ethical practice of facilitating learning and improving performance by creating, using, and managing appropriate technological processes and resources.” Everything from trendy quiz apps to educational software classics like The Oregon Trail and Where in the World is Carmen Sandiego? falls under the EdTech umbrella. In fact, as a computer based test, the GRE itself could be considered a form of EdTech. If you’re anything like me, your eyes are probably glazing over already. The very name EdTech conjures up a second-rate Ted Talk given by a C-list entrepreneur trying to hawk his latest startup to jet-setting angel investors. Indeed, EdTech has been a source of controversy in many forms of education. Are MOOCs all they’re cracked up to be? Are iPads in classrooms anything more than an excuse for kids to spend hours more staring at screens instead of engaging with each other in class? 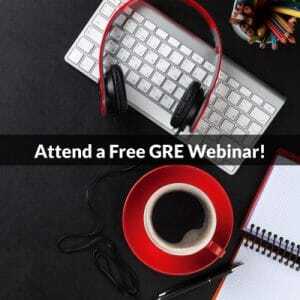 Putting aside all the hype and debates, let’s consider some of the EdTech resources available to help you prepare for the GRE and how you can make the best use of them. In an October 2015 post on the Zapier blog, Jimmy Daly has done impressive work compiling and reviewing some of the best note-taking apps. Standouts include long-time titans such as Evernote and Microsoft OneNote, but consider reviewing the options for yourself to see which best fits your needs. Personally I use a combination of Squid for taking hand-written notes on my smartphone and Google Keep for its seamless integration with the rest of the Google software suite. Keep a log of your progress. Make note of topics you have covered and essential concepts covered in each section both of the ETS guides and third party test prep material you use. It is important to track your work and reinforce the lessons both to organize your work and provide bookmarks for areas you may need to cover further. Track your performance on practice problems. Referencing the book used, page numbers, and question numbers, keep track of the problems you miss or with which you have difficulty. Write observations about your approach to these problems, which concepts are tested, and where you encountered difficulty. Was the difficulty a vocabulary issue? Was it a trap answer? Was it an inadequate prephrase? Are there math concepts or strategies you need to review? The more information you have about your performance, the better able you will be to target problem areas and keep track of your progress. Keep your work synced across devices and make additions and revisions wherever you are. Integrate apps like EverNote directly with flashcard apps like StudyBlue to create study aids. Cross reference words and entries directly with hyperlinks to pertinent web resources. Export your journal in different formats for work with other applications. Many of the reviews I’ve read of flashcard apps were getting somewhat dated. Who wants to consult a 2012 article to know which apps are the best right now? Likewise, I’ve been a longtime user of the adequate but less-than-extraordinary Flashcards Deluxe app on Android and have not been as up-to-speed as I should be on the bleeding edge of flashcard apps (yes I’m being serious). Fortunately, the University of British Columbia student newspaper has an excellent primer on which flashcard apps to consider using right now. Among the apps reviewed, Quizlet remains the heavyweight but other apps such Cram and AnkiApp have particular strengths that may give them the edge for you. Definitions are not just for vocabulary words. There are innumerable (no pun intended) ways to develop flashcards for math properties and rules you need to know for GRE Quant. Some apps such as Cram already have these subjects covered in ready-made flashcard sets created by other users. However, I strongly encourage you to make your own flashcards. It is both a pedagogical cliché and axiom of learning that it’s better to do something yourself than to use someone else’s work. You will learn both in the process of creation and review. Instantly turn your flashcards into impromptu tests and games to challenge yourself and assess your progress. Since the GRE is itself a standardized test, a compelling feature of many flashcard apps is the ability to create ad hoc quizzes to reinforce your learning and put you on the spot to determine whether your knowledge is sound. Especially with the fundamentals covered in the ETS Official Guide review sections and PowerScore’s own quant and verbal primers, for instance, immediate and perfect recall of these concepts will provide a foundation for success with the rest of your GRE preparation. Practice on the go with mobile apps. The flashcard format is uniquely suited to the ubiquity of smartphones in many students’ lives. It’s the ultimate way to fit in five minutes of preparation here and there while waiting in line/queue, commuting on mass transit, or finding something to do on your phone other than checking Facebook or Instagram for the forty-millionth time. This post has barely scratched the surface of EdTech developments and their potential utility for augmenting your learning and GRE preparation. However, as I remarked at the beginning of this post, sometimes the hype of what’s hot and trendy overshadows the tried and true learning techniques that will make the greatest impact in your success on the GRE. While I may be somewhat behind the times in the EdTech world, you need not be. One caveat is that it’s better to use something that works for you than it is to spend unnecessary time as an app dilettante, trying everything without ever using anything to great effect. If you have had experience with any of the above-mentioned apps or have other insight into Educational Technology tools that may be helpful for GRE preparation, please comment below. 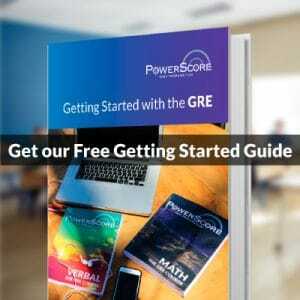 Thank you for reading, and if you’re ready to take the next steps in your GRE preparation, check out PowerScore’s complete suite of GRE preparation options.